IN MY LIVING ROOM . . WITH ALFRED STEIGLITZ & GEORGIA O’KEEFE !! FLORINE vs GEORGIA / NOW THAT’S A THOUGHT !!!!! SOMEBODY . . should write a paper on that !!! LIVING ROOM / GALLERY / SALON !! PARTY . . ON !! YOU GO GIRL. INDIE, R-E-B-E-L . . FLORINE !!!!! 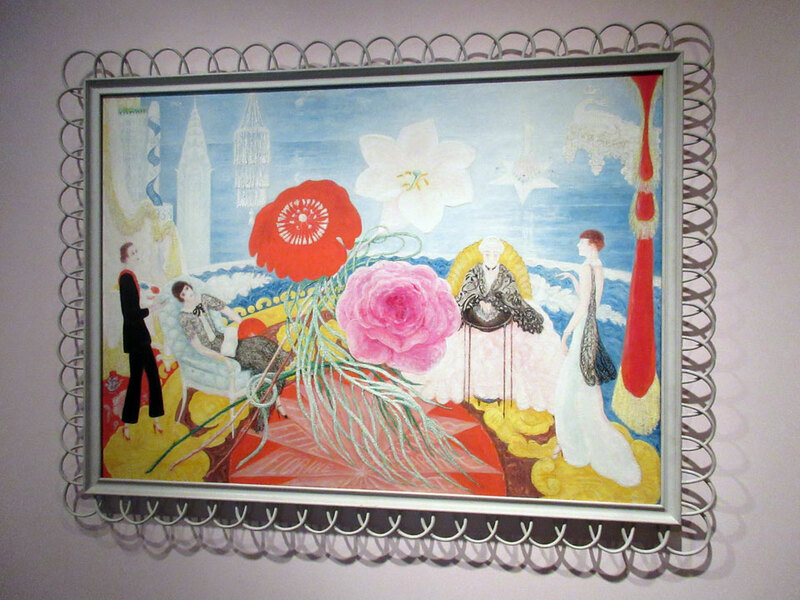 FLORINE STETTHEIMER, (1871-1944) . . ‘Family Portrait II’, 1933.
oil on canvas, 46-1/4 x 64-5/8 in. HAPPY MOTHER’S DAY, Y’ALL !! they were a close-knit family, the 3 sisters and their imposing mama. the father split early on. & note her life span – covered . . 2 World Wars !! 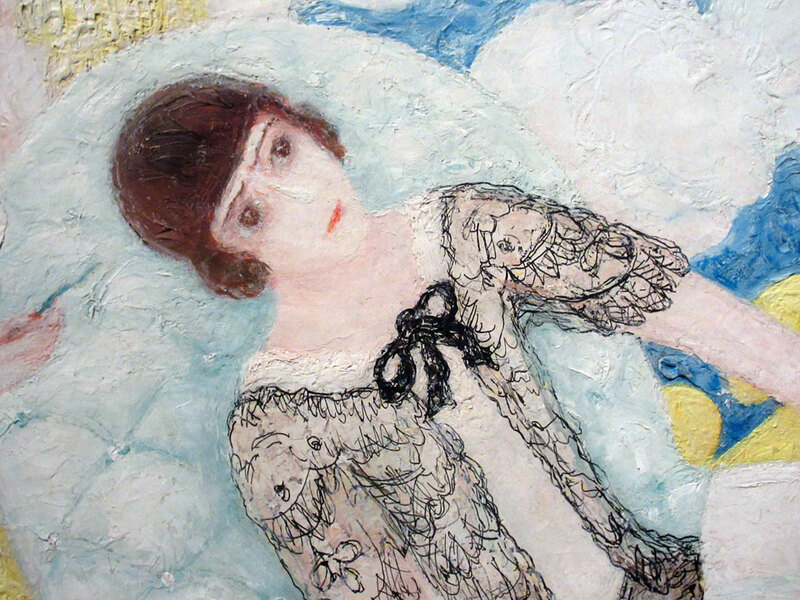 “BORN to a wealthy Jewish family in Rochester, New York, STETTHEIMER studied at the Art Students League in New York City and then in Europe, where she encountered two profound influences: the SYMOBLIST painters and poets, and the BALLETS RUSSES. 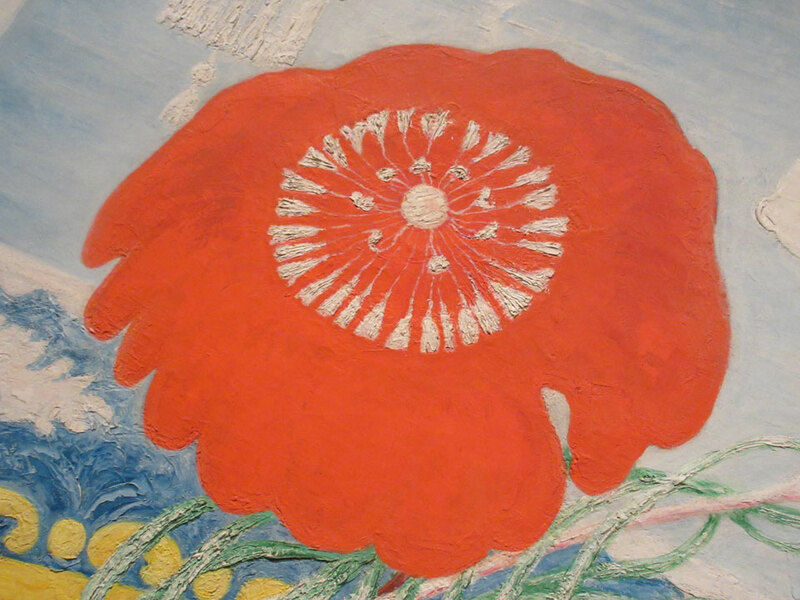 Stettheimer’s return to New York in 1914, as World War I began, was a turning point for the artist, who was then in her mid-40s. She made her New York art debut with a 1916 solo show at the prestigious Knoeldler Gallery, but it proved disappointing, attracting lukewarm press and no sales. She and her sisters Carrie and Ettie, and their mother, Rosetta, then developed a stratagem for unveiling her new works, characteristic of the period: parties. 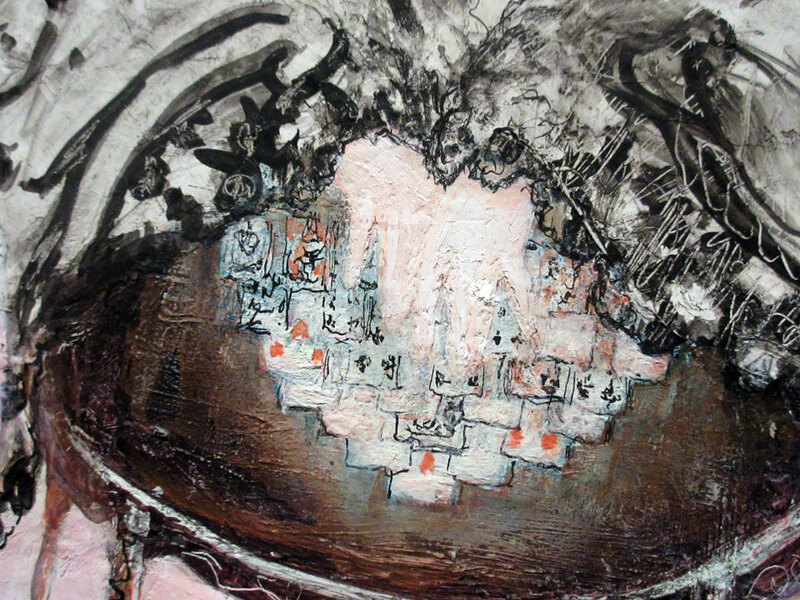 her ‘skinny’ brushwork – usually in black, top-painted as embellishment, is a detail that pops up throughout the exhibit – and is a nice re-discovery – re: painting technique. mama’s fortune telling (?) card game – is another good example of that . . fine, laced & expressive brush work. of course, she’s drop dead gorgeous with the . . the FLOWERS !! speaking of . . which !!!!!!! I wonder, what kind of conversations, FLORINE STETTHEIMER . .
and GEORGIA O’KEEFE – had ?!!!!!!!!!!!!! 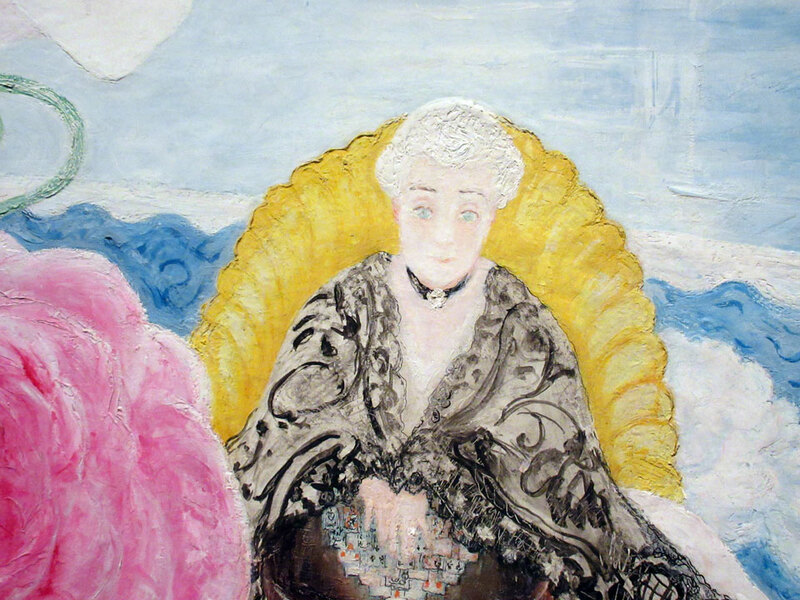 I mean, com’on – in many ways she, FLORINE . . is just as an innovative painter as GEORGIA O’KEEFE, but obviously, though ALFRED STEIGLITZ frequentd her parties – he didn’t seem to have championed her seriously, as an artist ??? could it be that same old same old (story) – who ya F..K – gets the CROWN. YOUR BAD – MR.STEIGLITZ !!!! !